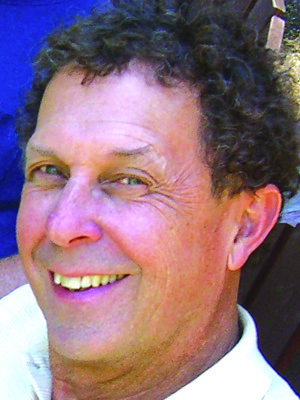 APS Fellow David Funder is a Distinguished Professor of Psychology at University of California at Riverside. Funder is best known for his research in the field of personality psychology. He has authored numerous textbooks on personality and is a past editor of the Journal of Research and Personality. Currently, he is working on a long-term investigation into human personality called the Riverside Accuracy Project. Funder took some time to speak with the APS Student Caucus (APSSC) about his career path and to share his wisdom with current graduate students. APSSC: How did you develop your current research interests, and how have they influenced you as a person and a professional? DF: I started out as an undergraduate major in Political Science at Berkeley, but at some point an assistant dean said to me, “it says here you are a Political Science major. Don’t you think you should take some courses in Political Science?” It was a good question. Nearly every course I had taken was in psychology. Thus, I followed the exact sequence described by the self-perception theory of Daryl Bem, my future graduate advisor. First you do something. Then you match your attitude to what you’ve done. The first thing I did as a new Psych major was enroll in a research seminar. The one I got into, completely at random, was taught by Jack Block. The theme was the “person-situation debate” and the textbook was Mischel’s Personality and Assessment, which was just beginning to have an impact. Like one of Konrad Lorenz’s ducklings, I permanently imprinted on Jack Block as a person as well as his uniquely humanistic and simultaneously utterly rigorous perspective on psychology. I was admitted to Stanford for graduate school, mostly (I learned later) because Daryl Bem saw that I was a Block student and he had become deeply interested in Block’s Q-sort technique for personality assessment. He thought I might teach it to him. But I’d never seen a Q-sort! I learned fast though, and the tool was important for our project “assessing the personality of situations,” which was published in Psychological Review (Bem & Funder, 1978). Daryl is a brilliant free-thinker as well as (and not just in my opinion) the best writer in academic psychology. I did all the parts of the research project he didn’t want to do, everything from running subjects to writing FORTRAN programs for “template matching.” In that way, I became Daryl’s “right hand,” which was the best possible way to absorb up-close the way he came up with ideas and thought through problems. All this time I self-identified as a social psychologist. In my project with Bem, I gathered both self-reports and peer reports of personality and became fascinated by the similarities and differences between the way a person saw himself or herself and how they were viewed by others. I also wondered how accurate these “person perceptions” were, and naturally I thought the topic belonged to social psychology. I discovered I was wrong. Social psychologists of the time, to the degree they considered personality judgments at all, treated them as pitiable sources of error. I also discovered I was unemployable as a social psychologist. However, to my surprise, personality psychologists — from a field where I did not think I belonged — tended to find my topic more interesting. So I ended up finding an intellectual home as well as employment in personality psychology. APSSC: What suggestions do you have for choosing an area of study? DF: The best single piece of advice I ever heard for choosing a research topic was in a talk I heard years ago by Eliot Aronson. His advice was to fantasize that the latest issue of the main journal in your field has just landed on your desk. Imagine scanning the table of contents and seeing an article that by its title alone causes you to cancel what you meant to do that afternoon just so you can read it. What’s the title of that article? There is your next research topic. To actually read that article, you must write it. APSSC: You’ve become a leader in the field of personality. What role do you think personality research plays in our broader understanding of psychological science? DF: I take the imperialistic view that personality psychology subsumes all the other subfields. Cognitive, biological, developmental and social psychology contribute pieces to the puzzle and personality puts them together. A corollary of this observation is that many people who don’t self-identify as personality psychologists really are, whether they know it or not. In particular, many social psychologists study topics like self-esteem, self-schemas, implicit theories, personal strategies, chronic sensitivities, persistent mood, overall well-being and so forth, all of which describe patterns of behavior, cognition or emotion that persist over time and are important in many life contexts. In another word, they study traits. We personality psychologists need to help them understand this. APSSC: Let’s talk about graduate school a bit. How did you select a graduate program? DF: I was much more naïve than students today. I sent out about a dozen applications, applying to almost all the UC campuses because you only had to pay one fee, plus Stanford, Harvard and Yale because I’d heard of them. After I was accepted, I drove across the bay and saw the Stanford campus for the first time. It looked pleasant enough, and then I found out it was the top-rated program in the world. So it seemed like a safe choice. It certainly worked out well for me. I don’t know that there is a lesson for others in this experience except that it helps to be lucky. APSSC: What were the most rewarding aspects of graduate school? DF: I had a wonderful time in graduate school. The institution and the professors treated me very well and the intellectual energy of people like Daryl Bem, Walter Mischel, Lee Ross, Leonard Horowitz, Mark Lepper and others made Stanford a vibrant, exciting, and challenging place. APSSC: How can students work towards becoming first-rate researchers while still in graduate school? DF: I’m a great believer in apprenticeship. Make yourself indispensable to somebody who knows how. You will learn more from doing his or her “grunt work” than from any number of lectures, articles, or books. If you have brilliant mentors — as I was lucky to have, in Jack Block and Daryl Bem — then so much the better. But in any case, Nike has the right idea: Just do it. DF: The most common mistake (almost by definition) is to follow the crowd. Just because a topic is “hot” does not mean it will stay hot or, more importantly, is the right topic for you. Follow a path where your interests and talents lead you, not where the crowd is going. The work will be more fun and will offer more room for creativity. Admittedly, this is a high risk/high gain strategy, but so is becoming a research psychologist in the first place. A second common mistake is to wait to have a great idea before starting to do research. Your ideas can refine and improve over time, but they won’t do so in a vacuum. Start on something, anything, then get better as you go. 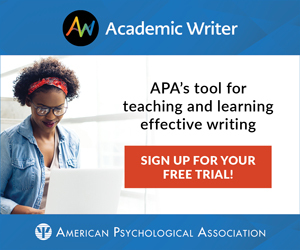 APSSC: What advice would you give to graduate students who want to have careers in academia generally and in personality research specifically? DF: Academia is a funny field because it is at once the easiest and most difficult place to make a living. It’s easy because you can set your own hours and work on whatever grabs your fancy. The boss doesn’t care if you go home for a long lunch and don’t come back; You don’t need to take a “personal day” to get your car fixed. These are perks that people out of academe can scarcely believe we enjoy, and would be jealous if they knew. On the other hand, academia is brutal. I don’t have to tell you the ratio of applicants to jobs. And once you get a tenure track job, the pressure only worsens. The flip side of the freedom is that nobody will care how hard you worked. It won’t matter if you stayed in your lab until midnight every day if you didn’t get anything done. Like the hiring committee, the tenure committee will look at your vita. What did you accomplish? No excuses. Specifically within personality psychology I would advise that you take advantage of the special networks that are developing. The Association for Research in Personality (full disclosure: I’m the outgoing president) is important for you to join and to attend all of its meetings. Seek out opportunities to get to know other personality psychologists. They will be a great source of intellectual stimulation and social support, as well as information about jobs and grants. And it’s more fun to learn about current research by talking about it with the actual researcher, over a beer at a conference, than it is by reading the Journal of Personality and Social Psychology. APSSC: What do you see in the future for psychological science and personality research? DF: I’m optimistic about both. While some research on brain imaging and related topics has been oversold, in the end identifying psychological science more closely with other life sciences can only be good. The public, and Congress, still need to be educated that psychology is a science, but this is finally happening. Personality psychology spent a lot of time in the doldrums, and too many people, damaged by the one course they may have taken, still think it’s about the disagreements between Freud and Jung. A larger number of psychologists, almost equally wrong, think it’s all about the Big Five. But personality psychology draws on and contributes to every area of psychology. This is becoming more apparent to the rest of the field and to the world at large as personality psychologists do innovative work on (literally) everything from neurophysiology to cross-cultural comparison. Finally, psychology has two strengths that guarantee its future. First, it’s useful. Second, it’s interesting. And personality is the most useful and interesting part of psychology. I would like to discuss Accuracy of Personality Judgements with you and would be grateful if you would send me your email address. You may know my name from my work at IPAR in Berkeley on that topic in the 1950s. I live in Melbourne Australia and at the age of 92 I hardly participate in scholarly matters any more but this article in the Observer caught my eye.